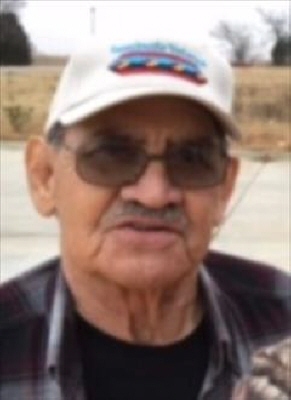 David Leon Factor passed away March 20th, 2019 at his home in Wewoka. He was born September 13th, 1938 in Holdenville to Chester and Elizabeth McCosar Factor. David graduated from Haskell Schools and later joined the United States Navy serving his country honorably. He worked as an electrician for many years. He enjoyed watching tennis, NASCAR and going out to eat. David bred and raised African Gray birds and loved them dearly. David Leon Factor is survived by his children, David Mitchell Factor and wife Lubia of LaMirada, California, Debra Factor of Norwalk, California, Robert Factor of Bellflower, California, Lisa Factor of Bellflower, California, Dana Taylor and husband John of Broken Arrow, OK, James Factor and wife Mellisa of Lubbock, Texas, Katy Factor Schmidt of Oklahoma, 18 grandchildren and numerous great grandchildren, siblings, Yvonne Jim and husband Lee of Wewoka, OK, Ruth Walker of Tecumseh, OK and numerous other relatives and friends. He is preceded in death by his parents, his wife Kathleen Tubbs Factor, the mother of his children, Earlene Wilson Factor, siblings, James Factor, Max Factor, Buckner Factor, Ida Mae Factor, Norma Jean McDaniel, Dorothy Stidham and Wynema Joshua Huddelston. Memorial service will be 10:00 A.M. Tuesday March 26, 2019 at Stout-Phillips Funeral Home Chapel in Wewoka with Pastors Jimmy Anderson and Curtis Kinney officiating. To send flowers or a remembrance gift to the family of David Leon Factor, please visit our Tribute Store. "Email Address" would like to share the life celebration of David Leon Factor. Click on the "link" to go to share a favorite memory or leave a condolence message for the family.